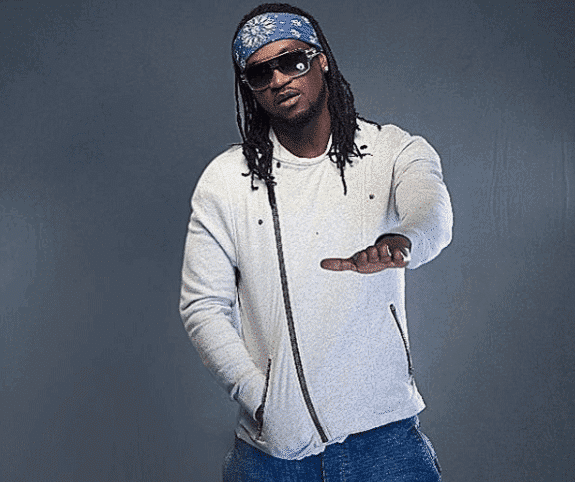 Paul Okoye shares screenshot of their conversation together. A man impersonating the Emir of Kano on Instagram has been arrested by the Kano state police command. The man runs a verified Instagram page with 262, 000 followers with claims that he is Emir Sanusi, even though the monarch last year denied running an Instagram page which a lot of Nigerians were following. Alhaji Munir Sanusi, the media aide to Emir Sanusi in a statement, said he never authorized anyone to open Instagram, Facebook, Twitter or any other social media accounts on his behalf. The impersonating the Emir has finally been arrested and is currently cooling his heels in the state police command after many months of manhunt. The last time he posted on the Instagram page was 2 days ago, a picture showing the Emir playing with a little baby. He will be arraigned in court for impersonation. His name and other details have not been disclosed cos investigations are still being carried out. 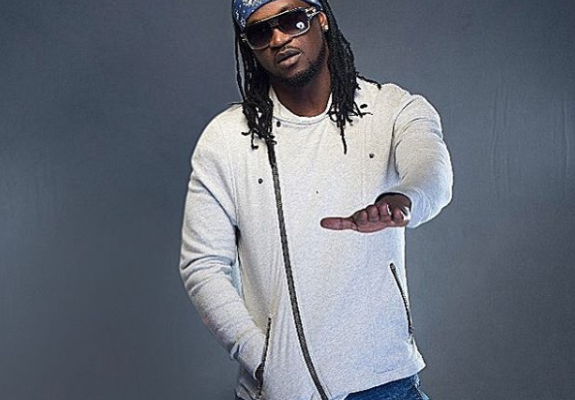 More revelation concerning the impersonator has come to light as Paul Okoye aka Rudeboy of former Psquare boy band expressed how he almost got duped of N5 million by the man. 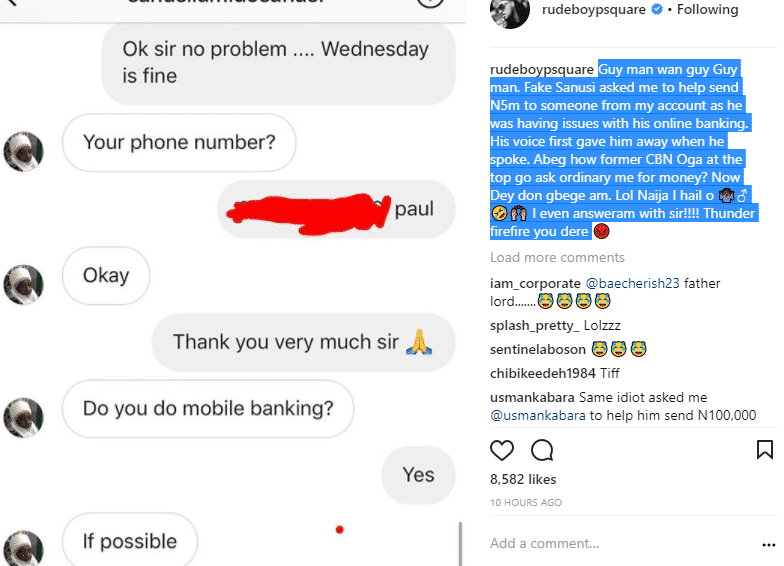 Immediately he heard about the news of his arrest, Paul took to Instagram to share screenshot showing the whatsapp conversation he had with the impersonator. The chat revealed that he almost sent N5 million to the man after he requested for such thinking it was actually the Emir himself. Read his words below.